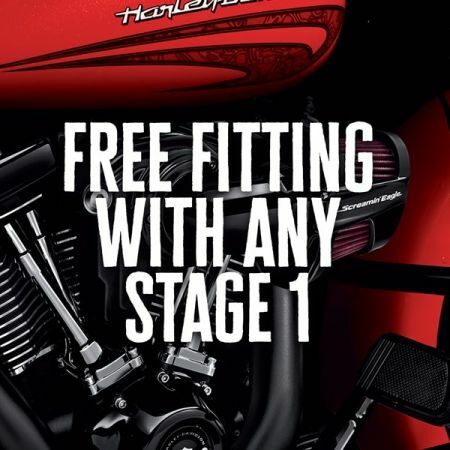 Upgrade your Harley-Davidson this April with a Screamin' Eagle Stage 1 and get it fitted for FREE! Terms and Conditions Apply see in store for more details. What is a Stage 1 Upgrade? The basic purpose of a Stage One is to modify the air filter, exhaust system, and fuel metering system to run as efficiently as possible, allowing it to breathe freely and, as a result, increasing the available power. Moving more air and fuel through the engine is the fastest (and most cost-effective) ways to generate more power and torque. A free-flowing air filter and matching tuned exhaust will add performance you can really feel. Heavy breather and Stage 1 Free Flow Air Filters bring a big boost and a sweet-sounding exhaust system delivers power you can feel across a broad RPM range. There are different interpretations and variations of what constitutes a Stage One but generally speaking it is recalibration of the air intake and exhaust systems to improve air flow, often using aftermarket accessories that are better equipped to achieve this. 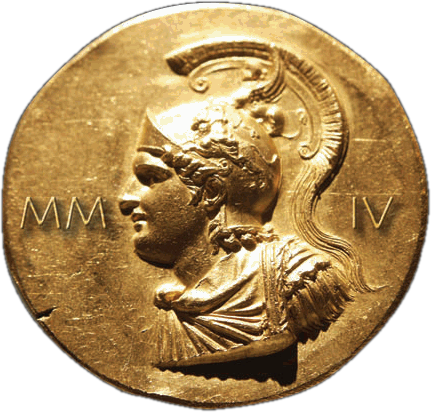 One important aspect of the process is that upgrading one part without the others won't give the desired effect. It also generally requires no internal engine modifications. There are a few myths concerning "Stage 1/4" and "Stage 1/2" but these would be best disregarded as they are a poor substitute for the real thing, and while certainly cheaper, they do not provide anything like the performance increases that you’re looking for. If you’ve not come across these cheap alternatives, they revolve around getting more air into the motor by drilling holes in the plastic air-filter backplate, and seem to work on the assumption that the restriction is getting air to the air filter, rather than getting air through the air filter into the engine. 1 - Enhanced exhaust systems provide less restriction for the gases to escape, but also have the added perk of giving the bike that raw, powerful, Harley sound! 2 - Stage 1 upgrades are a widely recognized addition and will certainly add value to your bike. 3 - Not only will the conversion increase the overall BHP and provide that traditional Harley-Davidson sound, but you'll also find the response from the throttle will be crisper and sharper, and your riding experience more enjoyable overall. When it comes to the air cleaner kit and exhaust system, there is an abundance of choice to customize the look of your Harley, and most would agree that these additions make the world of difference. Talk to our parts advisors about exactly what you'd like to get out of your bike and how you want it to look and feel. We'll discuss all the different options available with you and find the perfect combination for you and your ride. Call 0151 357 2124 during opening hours, or fill out the contact form below.